Amish Made Pub Table features contemporary lines, two-toned, accented with wood bows between the legs, and clean beveled edge. Size Shown: 38″ * 48″ * 36″H (counter Height). Available in any size, wood specie, chair, and comes in your choice of stain. 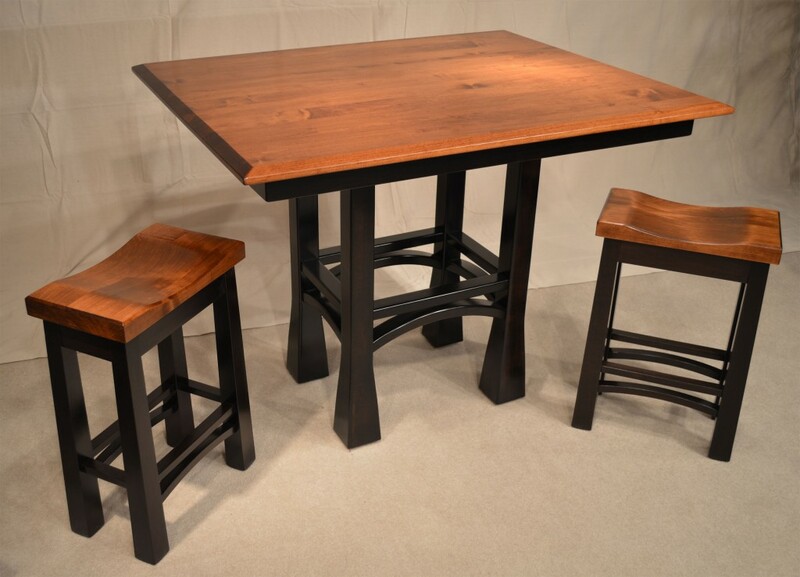 Table is hand crafted in Solid North American Brown Maple.